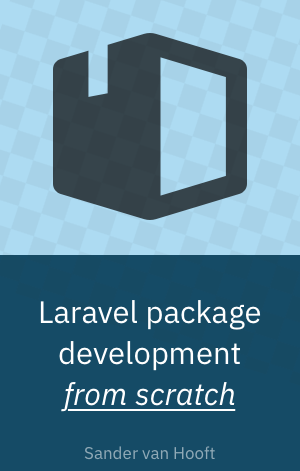 Are you ready to create your first Laravel package? Learning Laravel package development doesn't have to be hard. If you know how to create a basic Laravel app, you can write packages as well. Join the Laravel package development from scratch E-mail course. This package development workflow is optimized for learning the fundamentals. As soon as you understand the basics, you can start optimizing your own workflow. I've opened this course up for free to the first 100 subscribers only. After that I will shut this offer down and publish the lessons as a Kindle book. Join now and get the first lesson in your inbox right away. © Copyright 2019 Sander van Hooft. All rights reserved.